sara Jan 24 2019 8:29 am love gakky since code blue.... now i miss her i need more legal-related dramas from her bcos i loved her in zenkai garu and legal high!! steve mansfield Nov 27 2018 2:46 pm very FUNNY in Full-time Wife Escapist. Hope you visit USA someday. Also liked Hoshino Gen too. laika Aug 08 2018 5:50 am very nice in the full time wife escapist ? Yellowribbon Aug 07 2018 9:37 pm I think she is the cutest in Legal High lolllllll its funny.. I thin she wont take role being comedic. But well she can..
Ethan Mar 02 2018 1:52 pm Each time when I see her, I feel like that I am falling in love. Athikom Sombutchaloen Jan 22 2018 8:00 pm Love u so much yui-san XD. tianov Jan 06 2018 3:07 am I'm new to her, I've accidentally watched her drama The Full TImes Wife Escapist and instanly falling with her. Damn i didn't knew that such a cute girl exist, she stole my heart. so yes, i'm late but I'll searching and watch all of her Dramas and Movies soon. Damn her cuteness is overload. A Nov 29 2017 5:33 am Love her so muuuuch!!!! I think she's super great at comedic acting, I want to see her in more romantic comedies. aurora Jul 08 2017 7:48 am Gakky chan... i love your acting and smile... its kawaii... hope to see more of your dramas and movies back to back...and of course hope all are hit!! gambaate kudasai ! Sakura Mar 10 2017 9:29 am Can't believe Code Blue is getting a third season!! Can't wait to see Gakky and Yamapi again! Can they be a thing in the drama this time? I've waited so long for them to get another project together but Code Blue 3 is actually happening ?? Lyn Dec 15 2016 2:11 pm Such a great actress. Her cuteness is so infectious. Kawaii. Hotelier Nov 11 2016 5:28 am This woman really can act. I like her character in Legal High & Nigeru wa haji da ga yaku ni tatsu. She and Hoshino gen are so adorable in that new drama. Thumbs up Yui san! Anon Nov 03 2016 10:29 pm Your new drama "Nigeru wa Haji da ga Yaku ni Tatsu" is so good!! You look so kawaii in your dance at the end of the drama eps! Hope you'll have many projects soon!! Sanso Oct 11 2016 11:07 am Her new drama Nigeru wa Haji da ga Yaku ni Tatsu (逃げるは恥だが役に立つ) is so interesting. She is so cute and so well performance in the drama. Only aired the ep1 but , can`t get enough .... can`t wait for the next episodes !!!! I have a Gakkiiiiiiiii fever rn ! celt_cmf Jul 06 2016 3:28 am I like Gakky in Koizora, Legal High and as Kyoko Okitegami I would love to see her take on a different kind of role though; something she wouldn't normally portray. Khangzei Apr 13 2016 4:48 am You are so beautiful!! I love you watching 'Sky of Love'. pattanak Dec 26 2015 7:45 pm I liked her role as Okitegami-chan !! AnyoweMarkLunao Dec 13 2015 4:51 am I like her. Kirei Ona. Licorice Sep 19 2015 9:14 am l love Gakky! She's like the beauty of Japan. One of my fave actress. However, l have to say, her acting was so-so. She always played the same type of character. Typical, so it was boring though her beauty kept me watching her dramas. Thankfully, in Legal High her acting improved so much and she became awesome actress. Good job! l hope she will become even more popular, even better acting, and find true love! shing Aug 03 2015 8:01 am Yui has to be one of my favourite actresses after Kyoko Fukada lol The first time i seen her was in Legal high and i have to say her acting was just amazing and she really portrayed her character well. gakkyfan Jun 20 2015 1:39 am You're my fav. Jap actress Yui-chan! ravenralph99 Feb 25 2015 7:09 am She very cute specially when she smiles and sings. It all started when I wacth gakky on ranma 1/2, then I already like her so I watched all of gakky's tv dramas and movies. I only wished to see her on a horror drama or movie. ace Dec 23 2014 9:14 pm I've watched her in several things now and I must say she impresses me. Sure, she is stunningly attractive. But attractive film stars a dime a dozen. Can't throw a rock without hitting one. But looks as well as talent? Not so common as one might think. I wish her well and look forward to seeing more of her work. Adrian K Dec 08 2013 10:24 pm I watched only Legal High 1, 2 and Jonetstairyuk(?). I don't know much about her life as an actress. I love her appearance and the character Mayuzumi Machiko. 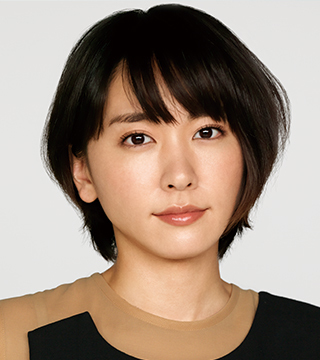 Obviously she is one of the most beautiful Japanese actress but what I feel love is, certainly, Mayuzumi Machiko with her appearance, not Aragaki Yui herself. Meisacas Aug 21 2013 5:54 am Gakky's so cute, isn't she? But more than her irresistible looks, I also became a fan for her acting work in "Koizora", "Smile", and "Zenkai Girl". Like, when she cries, I could feel my heart hurting too. Crazy, right? Oh, and her modeling portfolio is amazing too. She's definitely a good example of a model-turned-actress celebrity. Rommel Reyes Nov 23 2012 5:04 pm I just watched Hanamizuki - may your love blossom a hundred years on cable tv yesterday, it is subtitled in english. I saw it again early this morning and i love the story and the acting. i live in the Philippines. I also learned that you visited the our country this year around August to extend your help to people in Payatas. I appreciate your kind heart. thank you. Lizzie34 Oct 08 2012 6:58 pm I LOVE GAKKY SO MUCH!! She's 100% prettier than TODA ERIKA! Rikitto_ Jan 03 2012 7:19 am I share the same date of birth as Yui-san, but, I guess, all similarities between the two of us end right there. She looks great as Akane in the live action interpretation of Ranma 1/2. I wish her the best for her future. Indoor Girl Sep 27 2011 8:27 am I'm a Gakky fan! Her crying scenes are the most convincing I've ever seen. I especially liked her performance in Smile (2009) and Hanamizuki (2010). I also like the fact that she's so effortlessly gorgeous in photo shoots. muhammad Jul 06 2011 11:35 pm wow great.. i like her face.. so beautiful..
muhammad Jul 06 2011 9:45 pm wow nice articl. very good. gambate..
chhaayeon May 18 2011 1:58 am loved it ,its a nice film,, i was so emotional while watching the moving.. it was so nice wwaaa..
josephine Dec 30 2010 2:58 am Gakky is like the best japanese actress ever! !-to me at least- love her in Koizora,Papa to Musume,My boss my her,well all of em! ganbatte Gakky! kenaruma_05 Jun 12 2009 11:59 pm hai, otanjoubi omedeto!!!! Gakky-chan! kenaruma_05 Jun 10 2009 5:50 am Gakky is very pretty! and she has a lovely voice!! !